This movement appeared in 1890-1895 in Great Britain and France before developing all around Europe and getting to Argentina. 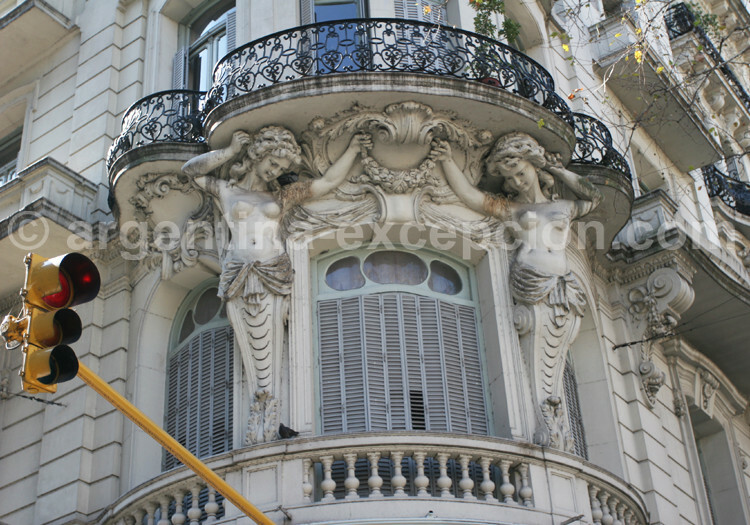 There are many typical buildings with this style in Buenos Aires, especially residential homes. Art Nouveau, received different names according to the country and it was the first important change in the history of architecture, it was built over new theories and esthetic objectives closely related to the psychological and social development of the time. It was more than an architectural revolution itself, Art Nouveau built a decorative change with the introduction of shapes mainly with a decorative nature. Its elegant and winding movements took the nature as a model, specially the plants. This style adopted the curve line getting inspired in the shapes of the flowers and was characterized by an asymmetric organization. Some specialists consider this style as the beginning of the modern architecture. 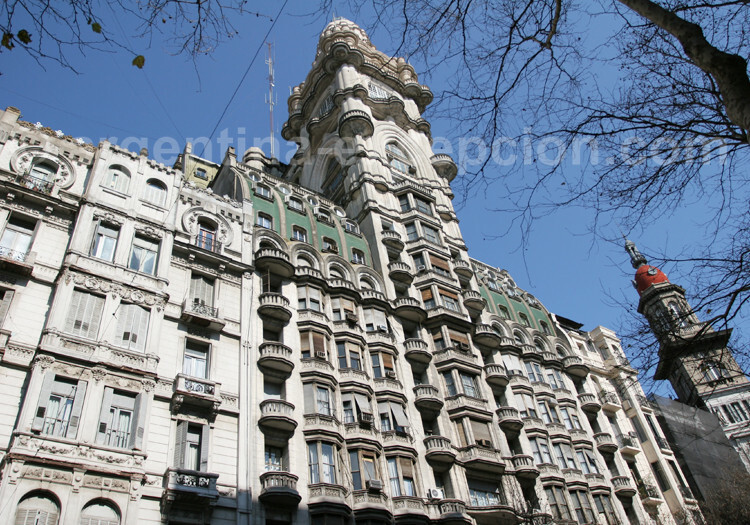 This palace that was financed by Italian Textile Businessman Luis Barolo was opened in 1922; and for thirteen years it was the highest building in Buenos Aires until the Kavanagh Tower exceeded it in 1935. 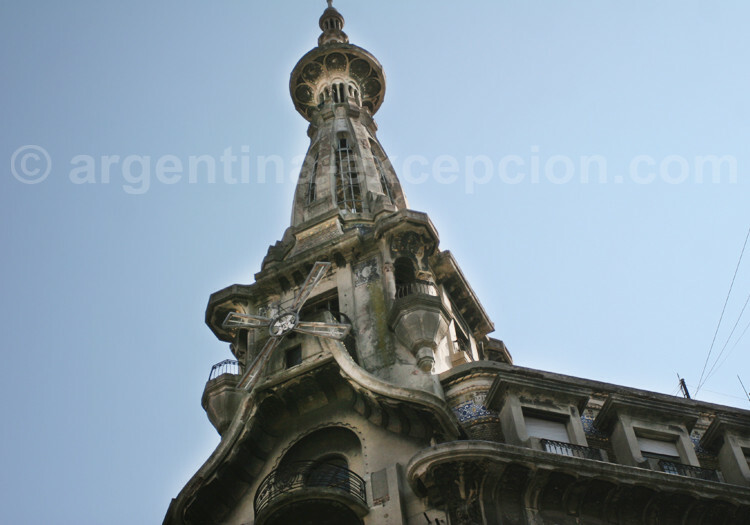 The monument is 100 m high with a revolving apex made up of 300,000 light bulbs that can be seen from Uruguay. In order to carry out this project the owner called Architect Mario Palanti, a great specialist in Divine Comedy, who put a lot of references from Dante Alighieri’s piece of work. The building is divided into three parts: hell, paradise and purgatory; its 100-meter height refers to the one hundred lines of the poem; the vaults in the entrance lobby make reference to the nine evil hierarchies. Nowadays, the houses have been turned into offices but the monument is still open to the public on Mondays and Thursdays from 2pm. Guided tours: ARS 15 in English or Spanish. 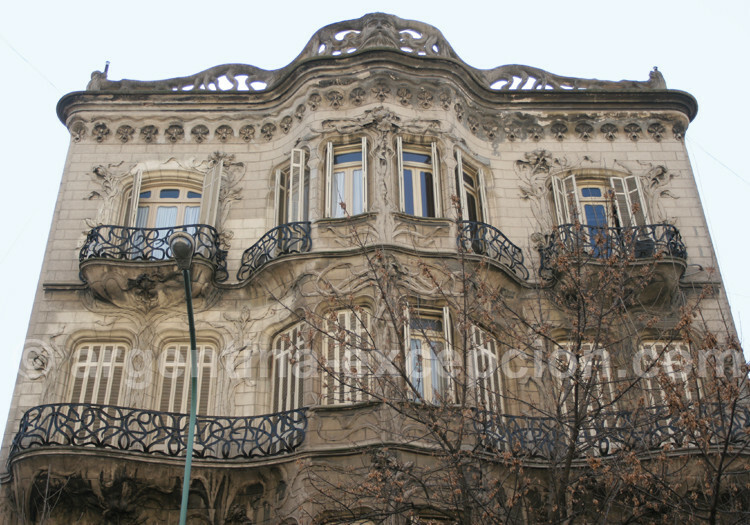 At Rivadavia Avenue 2031 the architect Rodríguez Ortega built a house with a French style called “nouille”. The facade exceptionally overlooking the street calls the attention of the passer-bys: a waving wall brought out in the central part while the balconies represent stems, leaves and irises. They are observed by a great mask with long hair and beard that is crowning this peculiar facade. Fine leaves made of iron sheets are intermingled in the bars of the balconies and the door, and are the final touch of the piece of art. Italian Architect Francesco Teresio Gianotti built Confitería del Molino between 1914 and 1917. It is an avant-garde building from Belle Époque, a revealing example of the anti-academic architecture of the Art Nouveau style. It is made up of three underground rooms that received different personalities from the social, artistic, intellectual and political life from all over the world, who gathered to taste their excellent meringues, marrón glace and chestnut pannetone. It was closed to the public in 1997 after 135 years of good and faithful services, and it has been abandoned since then. Thanks to the great needle tower, the stained glasses and the ornaments, it was enrolled in the Unesco list of monuments to be classified as Art Nouveau world heritage.